While great soccer players might often shine through whatever the environment, whoever happens to manage the team, the role of the soccer coach is essential to player development when coaching young players. Soccer coaches are key in setting out the right platform for players to develop skills on the ball that they can perform under pressure. Throughout the world soccer clubs deem the role of the coach as extremely important. Clubs spend a lot of time identifying good coaches and bringing them to their club. Professional clubs will go world wide in search of coaches who they believe are the most successful. This can be shown through the amount of foreign coaches who work in countries not of their origin. But what makes a good soccer coach? What makes a good soccer coach in terms of developing young players? It's not just about winning games, especially in youth soccer, it's about instilling confidence and developing technically sharp players. “When things are going well, there is a risk of relaxation; when things are going badly, obviously there is a loss of confidence. The coach must always keep a good balance in that sense, lifting the confidence levels particularly when things don’t seem to be working." "We coaches have to learn how to deal with that: How do I get to each player the best - with a talk, with video analysis? And what sort of tone? We need our own coaches for that. The sports psychologist coaches me too." “The first condition of a coach is to dream- you need passion to build your team. I have an image of what I want to produce, transmit”. “I believe that 60% of the result comes from the relationship between the coach and the players”.
" In my teams, the goalie is the first attacker, and the striker is the first defender." "I let all youth teams play the same way, like the first team. I always put the emphasis on learning. Sometimes I had the suspicion the youth coaches were more concerned with winning. They cared more about their own reputation. I cared only about the interest of the club. When a player with talent couldn't defend I put him in defence so he could learn, but that could cost a point. But I didn't care, I was busy developing the player." "I give a lot of instruction in training. It's difficult for me to do the same in matches, so I need guys on the pitch to read the game, to understand what we want." "I know one of my best qualities is to read the game for my players, is to read the opponent, is to identify every detail about the opponent." "Everything starts with the ball and finish with the ball. Sometimes we forget that this is a game with 11 v 11, WITH ONE BALL, and we try to keep this ball, we try to play with the ball, we try to make everything with the ball. " "The fundamentals, what I want, which is to take the ball, try to play as offensive as possible and dominate the game through the ball, is the same. I grew up with that; I was a player with that idea, and I am a coach with that idea." “When I first started coaching, my main job as a coach was to improve my players, shape my team, balance my team and get them to play football which I enjoyed”. “The key role of the coach is to make a decision- a decision about selection, a decision about recruitment. Many people know the answers, but not everyone is prepared to make the tough decision”. So the role of the soccer coach is clearly important in the eyes of top coaches around the world. However, these coaches are generally dealing with adults and thus coaches have to ask themselves if their role is different when dealing with children. 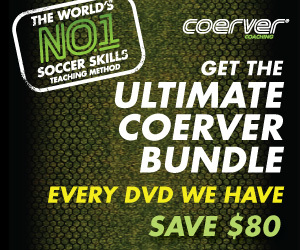 In this week’s chosen show on www.soccer-expert.com we look at the role of the coach. If you are just starting out as a coach or you want to learn more establishing your role is essential. Coaches have to look at the issues of winning and development. This issue has dominated much discussion in youth development. 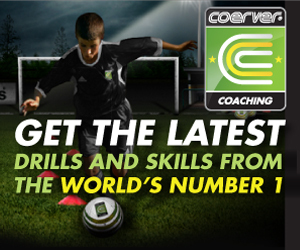 In this weeks chosen show soccer-expert.com explores the basic role of the coach. If we look at the role of the soccer "coach" what do we get? A mom, dad, brother, sister, teacher, councilor, mentor, and/or friend to mention a few. The coach needs many skills and qualities that have to be acquired over a period of time; Communication skills, teaching skills, sense of humor, planning skills, evaluation skills, practical skills the list goes on. These people who take on the "role", regardless of the sport, are unaware of the depth of knowledge and skills they are going to need when they start out. A large number of coaches take to coaching because "no one else can find the time to do it" or because they have children who have decided to play the particular sport. The one big fear that most new coaches face is "other parents", people who did not want the responsibility but after watching a few sessions have now become ‘experts’? The soccer-expert philosophy gives support to everyone who is involved in the development process which can only promote the role and responsibilities of the coach and their role. The web site will focus in on issues that can be detrimental to the development of players but they also portray a coaching methodology the runs with the "natural process of learning". The learning of soccer is no different to the learning of any other subject, if taught properly. Therefore, the process touches players, parents, grandparents and most importantly the brave soles who want to be called the "COACH".